Taijiquan o Taichi, It is a Chinese martial art, Taoist source, It is classified as an internal system (Kung fu), concept that involves the development of a product's ability sustained work over time. It is based on the universal principle of constant change, non-resistance and relaxation. Their movements are inspired by the nature of water which runs and molds to the geography of the land or in the bamboo stalk which responds flexibly to the shifting of the wind without resistance. 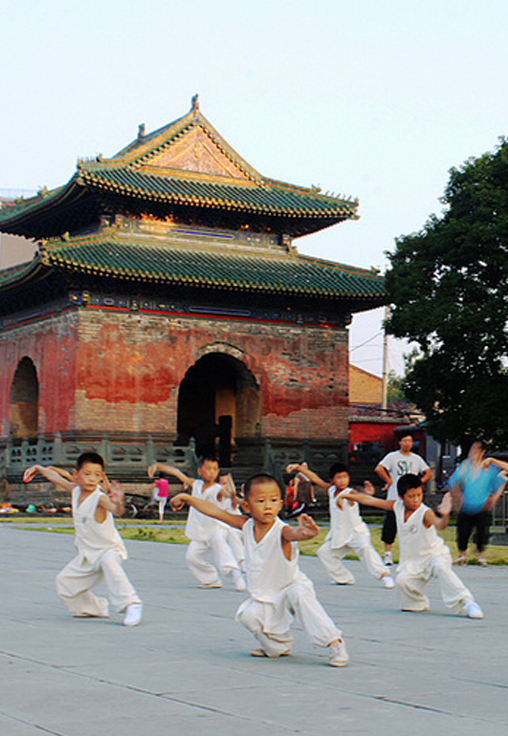 The practice of Taijiquan in children, It must be a recreational leisure activity, training, which enables, among other things, control and know your body, to concentrate, raise self-esteem and self-assurance. Through body work, almost without realizing it, they discover the body, which certainly it helps them to know themselves. It is proven that children who practice Taijiquan and other martial arts, increase self-esteem and assertiveness, decreases over time in them aggressiveness and violent disposition. A child with high self-esteem does not need to be aggressive as they have a greater ability to defend, which it translates into a way of being and behaving calmer and determined. On the one hand if a child is very aggressive, the practice of this art help to channel that energy and develop self-control. If it is too timid, it will help you be more outgoing and develop self-confidence. Taijiquan is also working on correcting bad habits and not only physical but also mental postures. The different positions in the child stimulate the perception of center of gravity, allowing you to shift your body weight from one party to another in order to realize their own strength of movement. During the working class based on repetition, and again, the movements are practiced up to speed and posture right direction, thus enhancing the child achieves self first and then physically replicate the process on a mental and emotional level. as usuall, children who practice this discipline have a good school performance, because your concentration increases, like the ability to develop group work, ie they are given the time to look, listen and express. 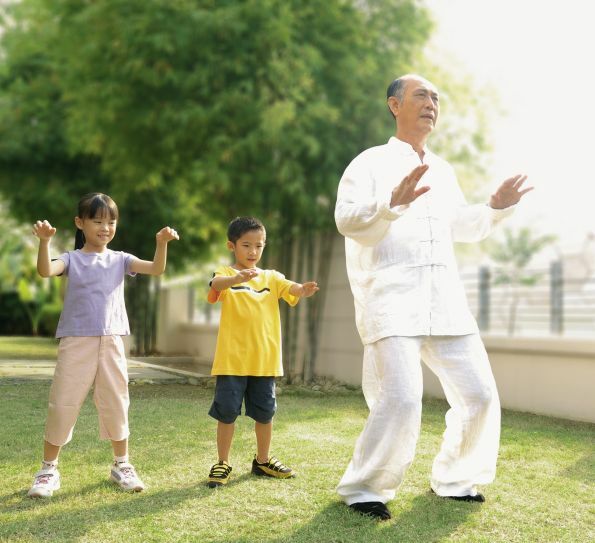 The regular practice of Taijiquan causes the child to develop and enhance their physical abilities as, agility, flexibility, coordination, good motor development, muscle tone and body language alive. Finally the martial frame where the class takes place allows the child is able to develop discipline and respect; greet, be quiet during class, listen and respond to instructions, respect classmates and teacher, They are part of the traditional teachings that instills this martial art.